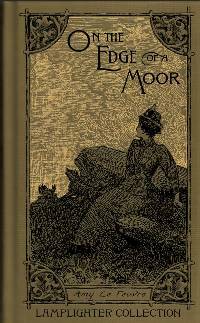 In an age of chaperones, high society, and civilized city living, a young woman withdraws from the traditional customs of her day to live a single life on the edge of a wild moor. The winters are fierce, the terrain is trying, and society is limited, but Rhoda, with a will and purpose of her own, makes this wet and wide-open country her home because she intends to sow more than flowers and vegetables on these hills. On the moor and in the little village lying just below, are a harvest of souls that do not know the difference between existence and life. Finding her neighbors living so fearfully close the other world, but afar off from the fullness of life with Christ, Rhoda prayerfully tries to till the barren fields of their hearts. She is met with opposition and trials from every direction, even from within herself. She must learn to pocket her pride and truly accept God’s will as her own. From Anonymous of Salem, Ohio on 5/22/2018 . I absolutely loved this book and highly recommend it to all young people (especially young ladies) who are seeking to find the will of God for their daily lives as well as their future. We see the beauty of a surrendered life in these pages.